There is no place in the world like ‘Straya. As the world’s sixth-largest continent divided into six diverse states (and two territories), it’s home to wonders like the Great Barrier Reef and the selfie-taking quokka (Google it, trust us). With more than 10,000 beaches and 2.5 million miles of outback, planning an itinerary can be daunting, especially when you have to pick between hanging with kangaroos or drinking your way through Brisbane. (Both, duh.) But while creating an airtight itinerary may be difficult, getting to Australia shouldn’t be. That’s why Qantas Airways offers the most non-stop flights per week to Australia from more US cities than any other airline. 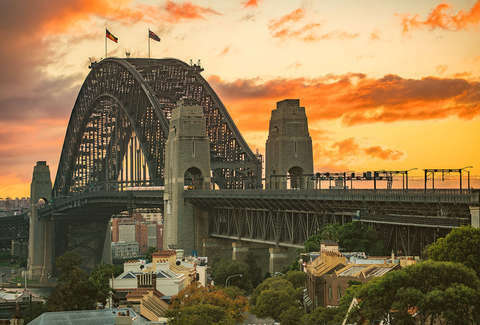 Best of all, when you book your flight to Australia with Qantas, you get access to Qantas Explorer fares, allowing you to book domestic flights -- like to the destinations in our guide -- at a reduced cost. Of course, with so many places at your fingertips, you’ll need to know where to go. Here’s everywhere you need to visit, from Western Australia to Tasmania. Of course the Sydney Opera House is the first landmark that comes to mind when you think of Sydney, but the capital of New South Wales is one of Australia’s largest cities and home to four million people (plus, Qantas flies from multiple US cities to Sydney every day of the week). So you can bet you’ll eventually start throwing around the word “mate” after you experience everything else there is to see, taste, and do… starting with Sydney’s restaurant scene. Whether it’s fermented veggies and blood sausage at Ester in Chippendale, sticky tamarind chili duck at Chin Chin, oysters straight outta’ the ocean at Sydney Fish Market, or Char Koay Teow and Spanner Crab from beloved Malaysian street food market Ho Jiak Haymarket, diverse eats are the backbone of Sydney. Drinks with a view reign supreme in Sydney, so consider rooftop hangs like Henry Deane at Hotel Palisade or drinking a mojito on this floating beach club to properly toast any Sydney sunset. Once the sun’s down, do late-night right with a ridiculous looking (and ridiculously tasty) tiki drink at Jacoby’s for weird, kitschy fun. Knock out a few Sydney staples first, like waking up your soul with a hike up The Sydney Harbour Bridge for an unobstructed skyline snapshot and swimming around the Insta-famous Bondi Icebergs Pool at Sydney’s Insta-famous beach (just make sure to stroll the cliffs on the Bondi to Bronte walk afterward). Then if you’re ready to see what’s outside the city limits, cruise down the coast to whale watch and hike at Royal National Park. A stop at the Figure 8 pools is a must. Travel around the city like a local while getting the best views of the harbor by taking a ride on the Manly Ferry (visit The Boathouse for lunch, you can thank us later.) Walk off lunch shopping amidst Victorian architecture at the Strand Arcade or taking an Inner West walking tour to discover local street art with Culture Scouts. On the opposite coast of Sydney awaits Perth, Western Australia’s thriving urban capital with a little bit of everything for every kind of explorer. Street art, a buzzing food scene, and a world-class wine region meet white-sand beaches next to a few of the country’s 8,000 islands, making it the most well-rounded adventure you’ll have yet. Pro tip: Qantas flies to Perth, including via Melbourne, on its new Dreamliner, so it’s a cushy, and easy, destination to add to your trip. No matter the location, brunch is life in Perth. The house-smoked brisket with sweet potato fritter, poached egg, chimichurri and dill pickle is a can’t-miss at Mary Street Bakery, while a more refreshing route (hello, acai bowls and sweet smoothies) can be found tucked behind a barbershop in the heart of the city at Uncle Joe’s Mess. Beach brunching is another possibility with banana pancakes and the best breakfast ‘za around at Bib & Tucker. Winery hopping in Swan Valley is legendary. Take a wine and chocolate masterclass at Coward & Black, party at Faber Vineyard for Australia Day, or catch the Twilight Concerts at Upper Reach Winery. For libations within city limits, sample beers at Little Creatures Brewery in Fremantle or hit up the speakeasy bar Sneaky Tony’s -- just don’t forget to look up the daily password on Facebook to get in. 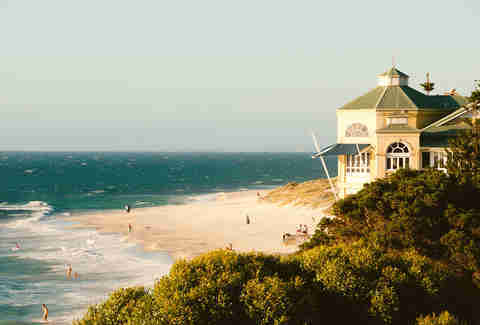 Go for a scenic run in Kings Park & Botanic Garden before the sun gets too high and then cool off at Cottesloe Beach, or the less-crowded option, Mettams Pool, just down the street. Don’t worry: It’s not a kid-filled community pool, but rather a natural rock pool surrounded by a reef. No matter where you kick off the day, island hop to Rottnest Island for snorkeling, cliff jumping, and getting that coveted quokka selfie. Catch a movie at the Luna Cinema, Perth’s most eclectic arthouse cinema, where in the summer they host Luna Outdoor, where you can grab a cheese board and a movie under the stars. Post stargazing, dance into the night by exploring Perth’s music scene at venues like the Jazz Cellar, Mojos, and The Bird. The Center of the Gold Coast is the capital of Queensland for a reason. With more than 2 million people, its diverse residents have built up award-winning restaurants, wineries, and enough quirky small bars to explore for a few lifetimes. The city, which Qantas flies to daily, is also squeezed in between the Pacific Ocean and ancient forests, making it a quintessential jumping-off point into what makes Australia Australia. Browse eateries, market stalls, and street food at Eat Street Markets with the ocean as your backdrop. Then there’s the dizzying amount of options along Eagle Street Pier (Mr & Mrs G’s and Pony are not to be missed). If you’re trying to save up your walking energy for other adventures, call it a day by making a reservation at Honto for some of the best sushi and rare sake in the city. Pro tip: Grab a pre-dinner drink at the garden bar of The Wickham Hotel, since Honto’s secret-door entrance is behind the Wickham, next to a furniture loading dock. 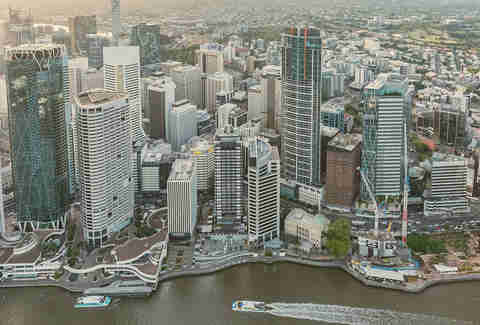 Whether it’s Eleven or LoNGTIME, rooftop bars are the move in Brisbane, while cocktails on the water are supreme at Mr. Percival’s, which is the perfect launching-off point to other small bars in the area. 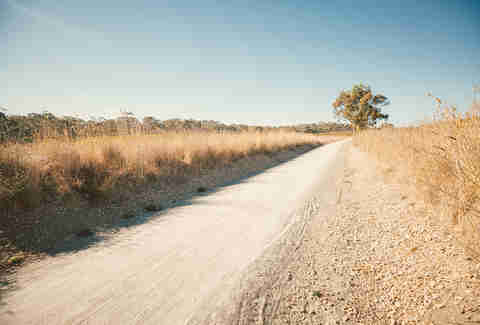 For Aussie vino paradise, take a road trip to the vineyards at Sirromet nestled in Queensland’s Granite Belt Region. Schedule an early R&R beach day by ferrying over to Moreton Island, the world’s largest sand island (we weren’t lying about there being a ton of dope islands). Head back to the mainland for continued sunbathing, cycling trails, and even film screenings at Southbank Parklands to take you into the late afternoon. For killer city views, take a sunrise hike to the top of Brisbane Lookout. While animal lovers get to chill with some furry mates at the world’s first and largest koala sanctuary, shoppers can browse emerging designers and vintage finds at Fortitude Valley Markets. It’s also definitely not weird to take in local art by wandering inside a 1920s power station that has been converted into a contemporary arts center. Just don’t forget to build in time for an epic lunch at Proud Mary. Welcome to Cairns, best known as the tropical gateway to the largest living structure on the entire planet. Even though witnessing a small chunk of its nearly-3,000 coral reefs is the bulk of the reason why visitors come to this North Queensland oasis, its charming downtown filled with cafes, markets, and galleries are essential to rounding out this getaway. No cafe is bad in Cairns but start with Caffiend, where locals agree you’ll find some of the best coffee in town. Runner-up: Billy’s Coffee. Once you’re buzzing, fuel up on fresh dragon fruit and coconuts at Rusty Markets. Cheap, delicious eats in Cairns obviously come in many forms, but $1.50 ramen refills at Ganbaranba is where it’s at. Even though the food at Salt House is exceptional, their tropical craft cocktails, DJ sets, and marina views are the real deal. Four minutes down the road, taste an array of Southern Australian wines and create your own tapas board at The Conservatory Bar. First and foremost, take a Cairns Reef Tour to witness the Great Barrier Reef. Once you’re done making friends with Dory-lookalikes, head inland for the ultimate rainforest tour at Daintree Discovery Center, then make sure to hit up Kuranda village to wiz through the top of the canopy via Skyrail Rainforest Cableway. Meanwhile, for those who just want to be beach bums, no need to venture far outside the city thanks to Cairns Esplanade Lagoon. Wake up with a turmeric latte at Perrotta’s Cafe and then explore three floors of historical and temporary art at the Cairns Art Gallery, or skip down the road with your caffeine fix to bird watch and snap photos of exotic flora and fauna at Cairns Botanic Gardens. Keep the momentum going by checking out live concerts and theater next door at Tank’s Arts Centre. As the Tasmanian capital, Hobart is a thriving contrast of old meets new. It’s Australia’s second-oldest city, and it’s using that heritage to transform old warehouses into ultra-modern boutiques and cafes, all while offering visitors a literal taste of its history in the country’s oldest brewery. And seeing as it’s at the base of Mt. Wellington, exploring the Tasmanian wilderness has never been easier. Eating in Hobart is all about an extremely fun high-low contrast of options. Grab lunch at Preachers, a Hobart institution because of its casual, but insanely delicious burgers and because there’s a bus permanently parked out front where you can play bingo. For an upscale dinner for vegans and oenophiles, head to Peacock and Jones for Tasmanian wine and a seasonally changing vegan menu. Then there’s the highest tier, like Frank’s Restaurant, a South American-inspired eatery on the waterfront that’s one of the trendiest spots in town. What’s not to love about the efficiency of grabbing a coffee from a cafe that’s also a laundromat? Afterward, when it’s time to relax with good Aussie beer and cider, take a tour through Australia’s oldest brewery that’s still in use today. After the brewery tour, feel free to use its proximity to Mount Wellington to get a 360-degree tour of Hobart by hiking to Wellington’s summit. If you’re tired of walking, rent a bike and cycle the Intercity Cycle Way, a nine-mile ride that takes you along parts of the Derwent River. And whether you’re saying goodbye or hello from the Hobart airport, don’t leave without dipping your toes into the soft sand at Seven Mile Beach. When in Tasmania, hanging out with Tassie Devils, wallabies, and other local residents is to be expected. When you’re done making friends, roam around the waterfront at Salamanca Place, electric boutiques and cafes converted from 1830s-era industrial warehouses. Best bet: hit it up on Saturdays for souvenirs from one of the 300-plus merchant stalls. 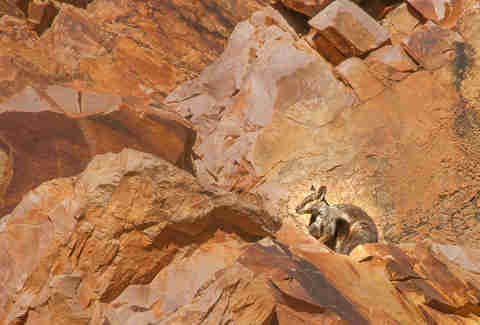 Nowhere is it more clear that there are more animals than people in Australia than in the remote town of Alice Springs. With just 20,000 residents in the northern territory, Alice Springs is not only home to the largest lone-standing rock in the world, but it has deep roots in an Aboriginal culture that goes back more than 50,000 years. You’ll be able to explore the town’s ancient geography, but also see its history retold through Alice Springs’ emerging art scene. Whether it’s a breakfast burrito after a late night or duck pizza with a side of live music, Epilogue Lounge is the perfect casual eatery no matter what time of day. If you need to feel inspired, try browsing the food options at the markets at Todd Mall, specifically the chai tea lattes and veggie breakies at Page 27 Cafe. Kick back and relax after a day of exploring the outback at Monte’s Lounge’s very chill outdoor beer garden. The quirky gastropub and eatery is decked out like a traveling circus, which only makes it that much more charming. Obviously, make sure to witness the Uluru sandstone rock formation in Uluru-Kata Tjuta National Park. Then grab a guide and head out into the bush on the Larapinta Trail, or take a sunset tour of the West MacDonnell Mountain Ranges via camel. 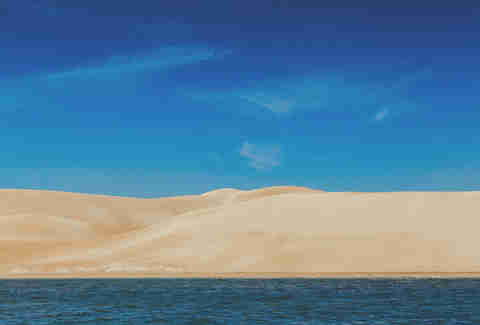 If a camel ride isn’t your thing, at least take a refreshing dip in one of the area’s natural swimming holes. Alice Springs’ Desert Park, Alice Springs Reptile Center, and The Kangaroo Sanctuary are the best ways to get up close to the native animals you’d find in its nearby desert if you don’t have time for a walkabout. Then learn even more about your surroundings and their history by browsing the many Aboriginal art galleries across the city, including Papunya Tula gallery and Desart. With rows of award-winning restaurants, a killer wine scene you can cycle through, and a food market that’s over 150 years old, there’s so much to dig into in Adelaide. The coastal capital of South Australia has built out a festival schedule that rivals other fest-famous cities in Australia, while its popular museum and art scene brings out its rich culture. Prepare for the ultimate sensory overload. There’s no bad meal in Adelaide, including the many cafes and eateries at the Adelaide Central Market and Peel Street, but you can’t go wrong at late-night favorite 2nd and 6th. If you like your food smoked, pickled, fermented, or preserved, and want to get a little weird, head to My Grandma Ben. Continue your worldly foodie adventure by tasting some of the region’s best Thai cuisine at Golden Boy. From sipping on a feminist-inspired brew at Sparkke Brewery & Pub, kicking back with craft beer and cider while dancing at this underground bar in the heart of the west end, to driving to the Mclaren Vale region to induldge in the five-level vino experience at The Cube, there’s a watering hole for every kind of boozy adventure. For whale watching, you have to visit Fleurieu Peninsula. But for a good, long beach day, it’s Glenelg Beach, Adelaide’s most popular beach. But maybe the best option is a bike ride on an old railroad track through wineries and art galleries on the Riesling Trail. From the South Australian Museum, to the Art Gallery of South Australia, to the Migration Museum, some of the city’s greatest museums are neighbors which makes it easy to see them all in one swoop. Of course, you’re not truly getting into the Aussie spirit without going to a cricket or Australian football game at the Adelaide Oval. 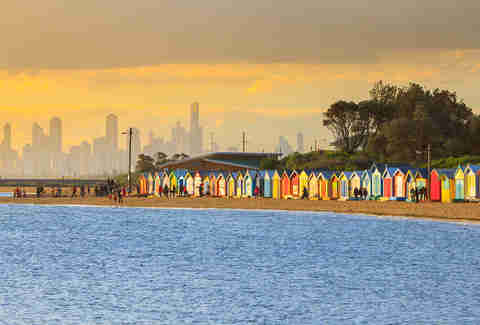 Visit Melbourne once, and you’ll probably start dreaming up ways to turn it into a permanent vacation. Named year after year as one of the world’s most livable cities, the capital of Victoria has a buzzing downtown and out-of-this-world coastline along Port Phillip Bay to partially thank for that recognition. Famous for its many laneways and packed events calendar, you better put on your most reliable exploring shoes for this city tour. Worth noting: if you do fall in love with the city, Qantas flies nonstop to Melbourne from Los Angeles and San Francisco, so even your temporary vacations can get a lot more frequent. Sure, the “Really F*cking Hot” chicken is really f*cking good at Melbourne institution Belle’s Hot Chicken, but the lamb neck cooked in a wood oven at Embla gives that dish a run for its money. If you can’t get a resy at Embla, try Embla’s quieter sister, Lesa, a quick walk upstairs. For a bit of an upscale night out in the fashion and art district, Cumulus Inc is the place to let the chef do all the work during a tasting dinner. Themed bars are everywhere in Melbourne, like rock ’n’ roll and whiskey legend Leonard’s House of Love, self-proclaimed “best rum bar in the city,” and the famous shipping container bar Section 8, which is decked out with graffiti and puts on massive DJ-filled ragers. No digital Adelaide photo album is complete without a windows-down type of road trip along the Great Ocean Road to see the 12 apostles. Continue to snap a few iconic ‘grams in front of the famous brightly colored boat sheds at Brighton Beach, then fuel up with some locally sourced fish and chips from The Fish Tank. Start by walking through Melbourne’s famous laneway, then try Hardware Lane for food, Hosier Lane for street art, and Centre Place for people-watching and drinks. Then continue to release your inner kid by riding roller coasters and eating cotton candy at Luna Park in St Kilda, or start to quiet it down during a morning meditation at Federation Square, the city’s cultural hub. The square puts on more than 200 events a year. You’re bound to catch at least one of them. Visiting Australia is already a perfect vacation, but it could get a whole lot better. Thanks to Qantas, you and a guest could win a round-trip economy flight to Australia and experience the land Down Under for yourself. 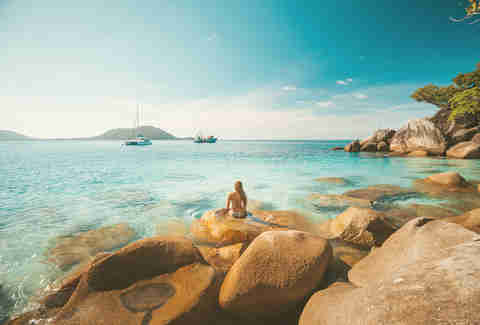 Not only will you enjoy direct flights from the US, but Qantas’ new B787 Dreamliners and enormous A380s come equipped with a self-service snack bar, a ton of entertainment options, and outstanding cuisine designed by Australian chef Neil Perry, making your sweet vacation even sweeter. To experience these cities for yourself, enter the sweepstakes for your chance to win now.